Monkey222 posted a message on Help Rank the Curses! I'm not too concerned about WAR, because we know it's the next release. What I find weird is that we know nothing about what's happening this year. 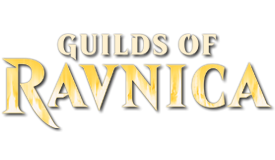 We know there'll be a Spellbook. 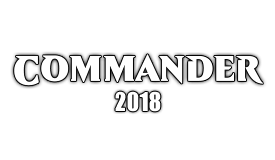 Commander 19. Some Standard sets, presumably a draft matters set. No concrete info though. I cannot emphasise how good Arjun, the Shifting Flame is with Niv. If you can keep them on the battlefield together, then each spell you cast represents a significant amount of damage. Not sure if it's competitive enough though. Remind me with Chandra Torch of Defiance was there a concerted effort by MARO and Friends to make sure Red didn't get good cards in the next sets? 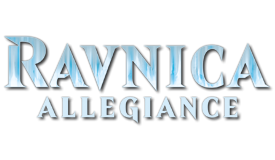 So, Wizards don't balance colours correctly, and people have an issue with it. Wizards tries to balance colours properly, and tells people that they're doing it due to a busted 'walker, and people have an issue with it? Can I request we update the first post with the mechanic details, please? Would be nice to see the mechanic straight away. Adapt seems really bland from the first brush. Hopefully there's a significant counter interaction to remove/move/spend counters. I really like Afterlife. I hope there's an enchantment that gives Afterlife. Just so we're clear, your stance is that you want cards to be cheaper. Cards are cheaper as a result of this set. In fact, every card included in the set has dropped considerably. But you are nevertheless upset, because the cards aren't cheaper enough. Then you call me crazy and that you can't debate? Well at least one of those things is true. This set also feels like Wizards are throwing yet another bone to investors. People who can afford to buy up boxes and sell off the singles just to make a profit. 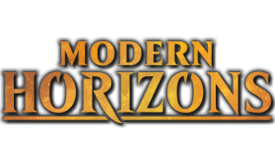 This has come very shortly after the GRN Mythic ed. Where people bought it just to sell the pieces for a profit, and everyone outside the US was excluded from the opportunity. It's starting to look like Wizards are solely catering to these investors, and people who want the cards to play are left to fight over the 100 copies in the wild that the investors have graciously allowed us to see. The arguement that these products 'aren't for you' is also very grating. I'm a player, and reprinted staples aren't for me? That starts to paint am ugly picture of what Wizards thinks of players. If you aren't buying packs, but you get to benefit from price drops anyway, why are you upset? If you can afford the cards in the brief window while their prices are slightly lower. Look there is no such thing as a player or collector/investor/hoarder( as you put it) everyone in this game is BOTH with very few exception( you can collect without playing you can't play with out collecting ) . I disagree with most of this. You can collect without playing, and you can't play without collecting. But. And it's a big one. There is a massive line between investors and players. One one hand, you have people who buy what they need to play (like myself), and have very little consideration for trying to make money from cards, and on the other, you have the likes of Rudy who buy up as many RL cards just to make money. That is a very, VERY, big divide. One helps the game, one actively harms it. Where, Mr. the Blue, in your models, do people who want to play the game fit? All but the richest of players (or those lucky enough to have bought in when prices were low) have been priced out of Legacy and Vintage. Modern deck prices are climbing higher and higher. What happens to the player who gets into the game, and wants to play an older format. One that doesn't rotate, or one similar to what they tried when they were younger? 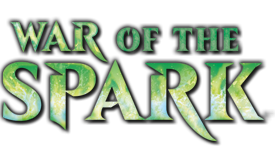 What happens when they look into card prices and sees they can't afford a deck to play at their LGS? What happens when that player walks away because of high card prices? What happens when more players are pushed away because they can't play what they want? Monkey222 posted a message on Are there cards you don't play for power reasons? Echoing a post above: if you don’t like a particular card or strategy, punish it. Destroy it. Disallow it (with cards, not house rules). I’ve yet to run into any real problems with this approach. I have found that this approach leads to an arms race, with each person just building faster, and harder decks. But if this works for you, go for it. Monkey222 posted a message on Is aproach of the second sun a worthy wincon? I use it quite successfully in my Raff Capashen, Ship's Mage deck. All you really need is a bunch of draw and a counterspell or two to protect it. Methinks a lot of Wizard employees have the day off and are posting up in this thread judging by join dates and post numbers. So you seek to delegitamize my comments by calling it fake news. Let the forum-ship decide for themselves. Free thought and all. It hurts NO ONE!!! And you're trying to delegitimise the comments of anyone who isn't joining in on your WOTC witch hunt (whether it's warranted or not) by calling everyone who disagrees with you "Wizard employees [with] the day off." And jshrwd wasn't calling what you said 'fake news'*, but saying that that's what you're doing by calling everyone a Wizards employee. One sided arguments are pointless. I let mine stand on their own merit. 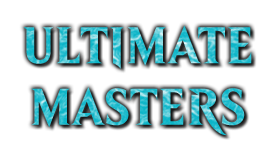 I'll reiterate, Ulitmate Masters is no where near ultimate. An improvement for sure, but when the bar is set so low with Iconic Trashters and MassTurds 25, anything looks better. Emphasis mine. You say you let your arguments stand on their own, but in the very same comment, try to shut down anyone who disagrees with you? Monkey222 posted a message on Who should lead a Sans-R Walls Deck? Hmm, I do understand that goal, but I'd think that having a deck that's extremely fragile to removal would be a pretty un-fun way to avoid blowing out your opposition. The skill level between myself and the rest of the playgroup is quite large, so I feel building a crappy deck is a better option at this stage. I'll reevaluate if it doesn't go as planned, however. [quote from="Onering »" url="/forums/the-game/commander-edh/801237-who-should-lead-a-sans-r-walls-deck?comment=9"]I agree with Dirk. Even if you are pulling punches while deck building, stick with Arcades. Just build him as goofy wall aggro and leave out the combos. You aren't going to run the table trying to beat face with walls, even with all that draw, but you'll at least have a consistent deck that actually does something even when you don't win, rather than just getting rolled because your key card got killed or building in so much contingency that your deck has no identity and you're just running Bant control, but with walls. If you're going to build a deck that does dumb *****, build it so that it does that dumb ***** reliably, every game. That's how you make it fun. You want to be able to throw walls at people, then make sure you can throw walls at people starting turn 4, every game. The problem is my decks are too reliable. I played my Ghoulcaller Gisa deck, and after every wrath, I was able to bounce back the next turn. I want to have a deck that is just janky, but not necessarily reliable. And as for the deck, I want to have Arcades/Doran/Phenax as hidden wincons. I have done that as well, However I have 3 Izzet decks with two more in production. So while i goal was 32 decks, i will probably have closer to 40 by the end. Arcades was my bant deck but after a few plays i realized i hated it. Too commander dependent so i took it apart pretty much the day i built it. I think I may go with Estrid as well. Not sure. How did you end up with 5 Izzet decks? Who did you build? I mean, if you want to build a bad deck for fun, build a bad deck for fun. But if you want to make a wall deck work, just build arcades. Doran doesn't even add anything to the deck, he's just redundant. I recently came to the realisation that my decks are too strong for most of my playgroup, so I started building some weaker decks so the newer players aren't always getting blown out. And I brainstormed building one deck for each colour combo, and Estrid, the Masked takes the Bant slot. Monkey222 posted a message on Launch Giveaway! My favourite card would have to be Sigarda, Host of Herons. She was my first mythic pull, and the first general in my first EDH deck!